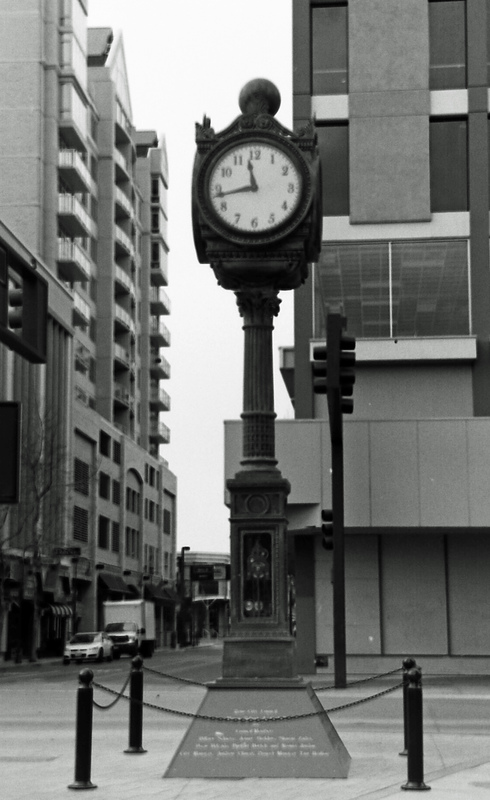 Throughout my childhood, this wonderful, old clock was always at the main shopping mall in Reno, Nevada, known as Park Lane Mall. The times have changed and that mall is long gone, now demolished and an empty parking lot. 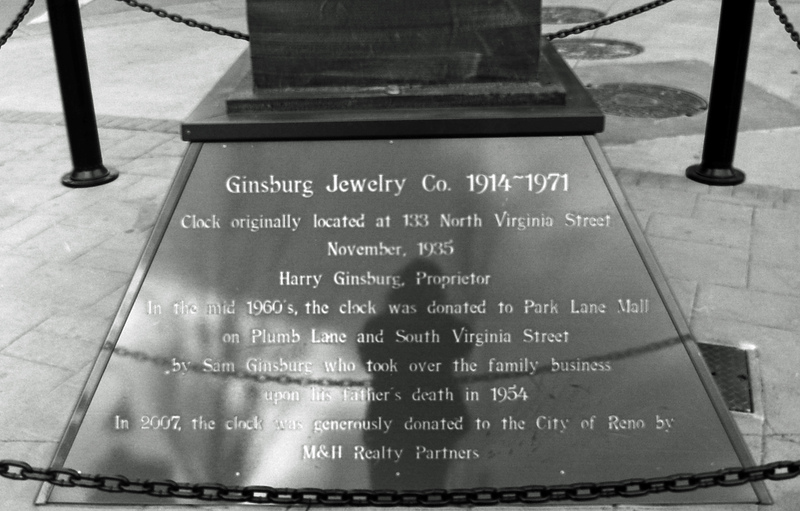 The clock, however, was saved and recently re-installed in downtown Reno. As a child, I had no idea how much history this clock held but, now, I know there is a storied past to this timepiece. I took this photo as part of my film project with 52 rolls. This set was all taken with my Nikon FM2. And, the photo turned into a little bit of a selfie for me, too. Bonus. 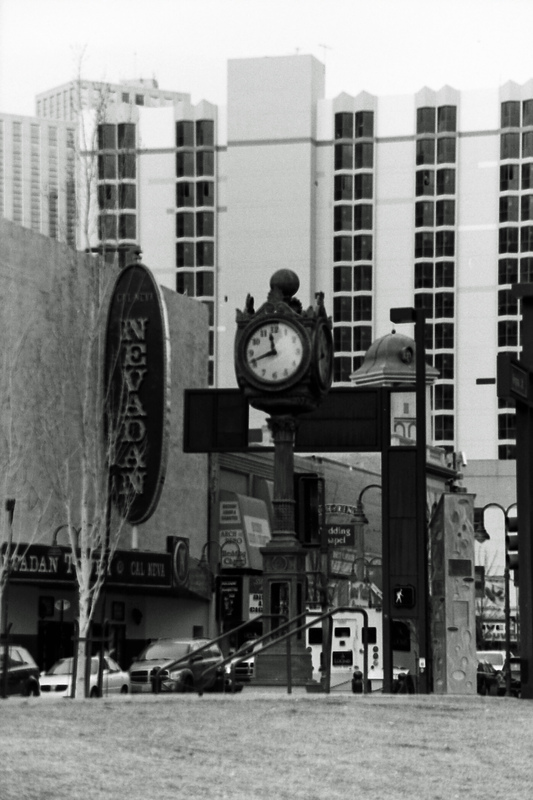 Downtown Reno isn’t the grandest of locations for such a spectacular clock but there is a renovation/revitalization effort in the area. I think this is a great place for the clock and a good reminder of the history that has happened in “The Biggest Little City.” I hope that it is well-taken care of in this spot and that people respect it. Just look at the inner workings on this clock, they don’t make them like this anymore. It’s a beautiful clock. Glad it was saved. Thanks. I love old things like this clock. 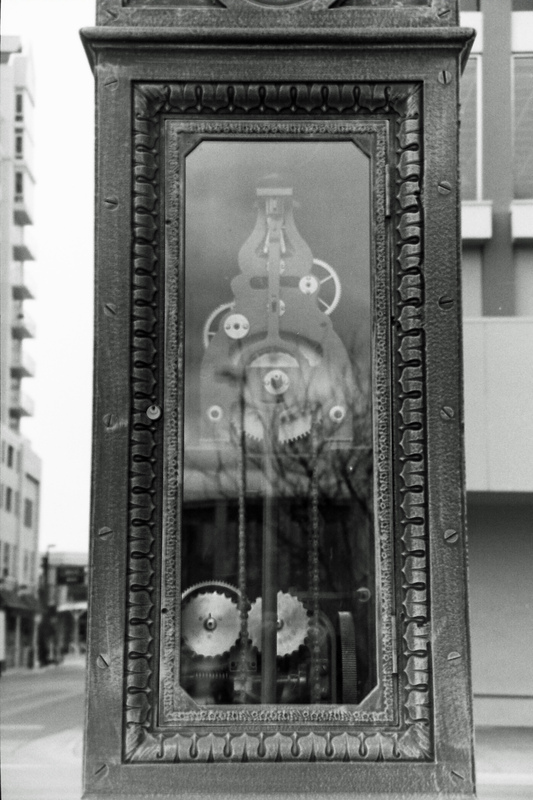 If that clock was in downtown Fresno, someone would break the glass and steal the metal workings to sell for scrap metal to have money to buy meth. That’s our city for you.